Our mission is to protect the life of the land and the health of our communities through education about organic land care practices. Developing and strengthening certified organic farms enhances Hawaii’s many fragile ecosystems and provides a base for a sustainable local economy. Hawai'i SEED is a statewide non-profit coalition of grassroots groups composed of farmers, doctors, scientists, lawyers, concerned citizens, and Native Hawaiians working on five islands to educate the public about the risks posed by genetically engineered organisms. Hawai'i SEED is dedicated to promoting diverse, local, healthy and ecological food and farming that supports real food security for the Hawaiian Islands. Hawaii Tea Society is a 501(c)(3) non-profit organization composed of tea-enthusiasts and tea-growers in the State of Hawai'i. Hawaii Tropical Fruit Growers (HTFG) is a nonprofit organization was incorporated in 1989 with the primary purpose of promoting the interests of any and all aspects of tropical fruit in the State of Hawaii. HTFG is dedicated to tropical fruit research, education, marketing and promotion. Know Your Farmer Alliance (KYFA) is a grassroots educational and activist group of farmers, gardeners and others interested in ecological food production and local self-sufficiency on Hawai'i Island. Please check the items under the "news" column to view the new direction this organization is looking to move towards. Our mission is to promote and protect Kona coffee farmers economic interests in 100% Kona coffee, to protect the Kona coffee heritage, and to seek greater legal protection of the Kona coffee name. A non-profit organization representing the agricultural community of North and South Kona districts, on the Big Island of Hawaii. Its membership is dedicated to improving the quality of life on farms, ranches, and their rural communities. A community based volunteer organization whose mission is to keep Kona clean, green and beautiful by protecting, preserving and enhancing the environment for future generations. An event sponsored by the North Kohala Community Resource Center to support local food production and consumption. Slow Food U.S.A. is a non-profit educational organization dedicated to supporting and celebrating the food traditions of North America. Animal breeds, heirloom varieties of fruits and vegetables to handcrafted wine and beer, farmhouse cheeses, other artisanal products part of our cultural identity. By reviving the pleasures of the table, and using our tastebuds as our guides, Slow Food U.S.A. believes that our food heritage can be saved. 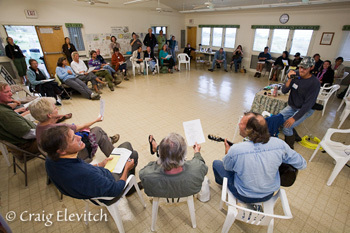 Working to assure a secure & sustainable future for North Kohala in five areas: water, food, energy, jobs & health care.